When the HVAC system in your commercial space experiences issues, you need it to be fixed as quickly as possible. That’s why you need an experienced technician who understands the intricate workings of a commercial HVAC system. We have been working with commercial, retail, and industrial facilities for over 20 years, helping them install, repair and service their commercial HVAC systems. Thanks to more than two decades in the industry, our team is able to service all brands of HVAC equipment. No matter how big or small your commercial HVAC system might be, or whether you installed it yesterday or thirty years ago, our team knows what it needs and how to keep it working for you. We can also offer advice on good brands for replacement systems in case you are looking for an upgrade. We’ll make sure you have the right brand and the right system to keep costs low and your commercial environment comfortable. 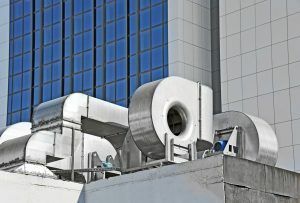 Don’t trust your commercial HVAC system to just anyone. Make sure that you have an HVAC team who has built their reputation up with integrity and reliability. Call the Rocky Point Heating and Air Conditioning team today! We’ll give you a free estimate on the commercial HVAC work that you need done and show you how affordable great service can be. You can contact us through our website for your free estimate. GET HEATING OR COOLING QUOTE!